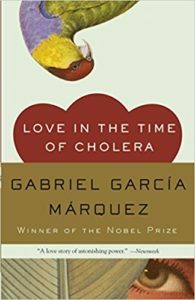 Love In The Time Of Cholera by Gabriel Garcia Marquez. A new book to the collection since the last move. It’s a beautiful love story, but it is also a masterclass in writing. At this very moment LEO is working on her first reading and it amazes her just as much as it did me. One of the few books to make me cry and the only one of that group that made me cry as an adult, fully formed and jaded and cynical. Touching my heart requires an act of something special. Sixty Stories by Donald Barthelme. If one is a fan of short stories, then this collection is a must. Normally I prefer anthologies because they’ve had several layers of curation. This collection is not a best of, but rather a regular book, which makes its excellence even more stunning. A Collection of Essays by George Orwell. One of the masters of 20th century thought. I’m hard pressed to find a list of great books the does not include something he wrote. I find his fiction masterpieces good, but not worthy of this list. His essays, however, are truly wonderful. His essays are also helpful as a reminder of why it is inaccurate when libertarians adopt his fiction as manifestos. The Next American Essay by John D’Agata. I hate that this is true, but I have not yet read this book. The thought that I left a good book behind to make room for a book I’ve not yet tried out disgusts me. And yet I did it. I bought this book as part of a set. D’Agata has conducted what has been described as a master class in the essay. There are three volumes and this is the third. An anthology of important essays? How could I not buy it. I left the first two volumes behind, opting to keep this one because its entries are the most contemporary. Good Poems by Garrison Keilor. When I was leaving Minnesota for the Virgin Islands I was having this same discussion and when I mentioned this book the other called me a ‘homer’. It is funny because I’ve never had any love for Keilor. I cannot stand his slow-moving folksy talk on Prairie Home Companion. Being inundated with Keillor-This and Keillor-That was one of the worst parts about Minnesota living, and yet this anthology he compiled is really really really well done. Against Interpretation and Other Essays by Susan Sontag. Sontag is one of my favorites. There must be someone she reminds me of, because I am enthralled by her. The only comparison I can think of is Anne Bancroft (IMDB) but as much as I love The Graduate (IMDB) that does not explain my affection. But add in her brilliance, especially her encounter with Norman Mailer and you have a truly amazing person. Her essays are merely a vehicle for her brilliance (God knows it is not her novel The Volcano Lover). I would leave behind the Orwell collection before I abandoned this one. My Mistress’s Sparrow Is Dead edited by Jeffrey Eugenides. I love short stories. I love short stories about love. Eugenides, an author I adore, has compiled in this volume what he thinks are some of the best short love stories. Some of them make me wonder about his judgement, but then I remember that he is looking for more than an amazing love story. While some are only mediocre love stories, they showcase superb style and technique. All in all this is a short story volume with works worthy of revisiting. The Complete Short Stories Of Ernest Hemingway. (The Finca Vigia Edition). The definitive collection of his shorts. Need I say anything more? The Right To Write by Julia Cameron. This is one of the few books that I have bought numerous copies of. It is a book of coaching to unlock your writing life. It is also a superb self-help book because it is not filled with quackery but rather entertaining and useful stories about the writer’s life. Cameron dissects myths about the life and shows how those myths can actually hurt the blooming writer. Each vignette also includes some assignments to help the writer unlock the lesson of the story and to help unlock the potential within. 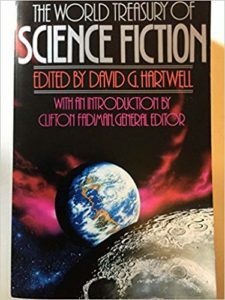 The World Treasury of Science Fiction edited by David G Hartwell. Aside from the Hemingway anthology above, this is the only other anthology I have bought more than once copy of. I made the move to the Virgin Islands without this book because it was so heavy. That was a mistake and on this move I decided not to repeat the error. There is value in a recommendation based on what I think I would miss, but this recommendation is even better: I once abandoned the tome and realized the error, paying for it again. There is no higher endorsement. Literary Theory: An Introduction (Second Edition) by Terry Eagleton. I admit that I am unsure if this was the right choice. I needed some theory to make the list. There are other books I prefer but I chose this one because of the breadth involved. 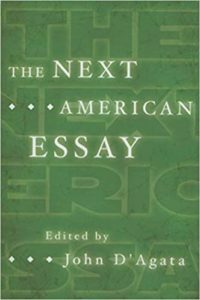 Eagleton covers many topics and the book also seems more timeless than other options. However, this is the weakest of the entries. We shall see if this book makes the next move, which might be quite soon.